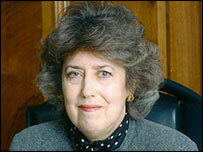 Dame Eliza Manningham-Buller has given a stark warning of the terror threat facing the UK. Here are extracts from the London speech in which she outlines that threat. I rarely speak in public. I prefer to avoid the limelight and get on with my job. I speak not as a politician, nor as a pundit, but as someone who has been an intelligence professional for 32 years. Let there be no doubt about this - the international terrorist threat to this country is not new. It began before Iraq, before Afghanistan, and before 9/11. In the years after 9/11, with atrocities taking place in Madrid, Casablanca, Bali, Istanbul and elsewhere, terrorists plotted to mount a string of attacks in the UK, but were disrupted. This run of domestic success was interrupted tragically in London in July 2005. Since then, the combined efforts of my service, the police, SIS and GCHQ have thwarted a further five major conspiracies in the UK, saving many hundreds (possibly even thousands) of lives. My officers and the police are working to contend with some 200 groupings or networks, totalling over 1,600 identified individuals (and there will be many we don't know) who are actively engaged in plotting, or facilitating, terrorist acts here and overseas. The extremists are motivated by a sense of grievance and injustice driven by their interpretation of the history between the West and the Muslim world. Today we see the use of home-made improvised explosive devices; tomorrow's threat may include the use of chemicals, bacteriological agents, radioactive materials and even nuclear technology. More and more people are moving from passive sympathy towards active terrorism through being radicalised or indoctrinated by friends, families, in organised training events here and overseas, by images on television, through chat rooms and websites on the internet. The propaganda machine is sophisticated and al-Qaeda itself says that 50% of its war is conducted through the media. In Iraq, attacks are regularly videoed and the footage downloaded onto the internet within 30 minutes. We are aware of numerous plots to kill people and to damage our economy. What do I mean by numerous? Five? 10? No, nearer 30 - that we know of. These plots often have links back to al-Qaeda in Pakistan and through those links, al-Qaeda gives guidance and training to its largely British foot soldiers here on an extensive and growing scale. And it is not just the UK of course. Other countries also face a new terrorist threat, from Spain to France to Canada and Germany. There has been much speculation about what motivates young men and women to carry out acts of terrorism in the UK. My service needs to understand the motivations behind terrorism to succeed in countering it, as far as that is possible. Al-Qaeda has developed an ideology which claims that Islam is under attack, and needs to be defended. This is a powerful narrative that weaves together conflicts from across the globe, presenting the West's response to varied and complex issues, from long-standing disputes such as Israel/Palestine and Kashmir to more recent events as evidence of an across-the-board determination to undermine and humiliate Islam worldwide. The video wills of British suicide bombers make it clear that they are motivated by perceived worldwide and long-standing injustices against Muslims - an extreme and minority interpretation of Islam promoted by some preachers and people of influence. And their interpretation as anti-Muslim of UK foreign policy, in particular the UK's involvement in Iraq and Afghanistan. Killing oneself and others in response is an attractive option for some citizens of this country and others around the world. I wish life were like 'Spooks', where everything is (a) knowable, and (b) soluble by six people. But those whose plans we wish to detect in advance are determined to conceal from us what they intend to do. And every day they learn. From the mistakes of others. From what they discover of our capabilities from evidence presented in court, and from leaks to the media. Moreover, intelligence is usually bitty and needs piecing together, assessing, judging. It takes objectivity, integrity and a sceptical eye to make good use of intelligence: even the best of it never tells the whole story. Because of the sheer scale of what we face (80% increase in casework since January), the task is daunting. We won't always make the right choices. And we recognise we shall have scarce sympathy if we are unable to prevent one of our targets committing an atrocity. My service is growing very rapidly. By 2008 it will be twice the size it was at 9/11. We know much more than we did then. We have developed new techniques, new sources, new relationships. We understand much better the scale and nature of what we are tackling but much is still obscure and radicalisation continues. Safety for us all means working together to protect those we care about, being alert to the danger without over-reacting, and reporting concerns. We need to be alert to attempts to radicalise and indoctrinate our youth and to seek to counter it. We also need to understand some of the differences between non-Western and Western lifestyles; and not treat people with suspicion because of their religion, or indeed to confuse fundamentalism with terrorism. We must realise that there are significant differences between faiths and communities within our society, and most people, from whatever origin, condemn all acts of terror in the UK. And we must focus on those values that we all share in this country regardless of our background: equality, freedom, justice and tolerance. Many people are working for and with us to address the threat precisely for those reasons. Because all of us, whatever our ethnicity and faith, are the targets of the terrorists. That threat is serious, is growing and will, I believe, be with us for a generation. It is a sustained campaign, not a series of isolated incidents. It aims to wear down our will to resist. My service is dedicated to tackling the deadly manifestations of terrorism. Tackling its roots is the work of us all.